ENGLEWOOD PLUMBING REPAIR QUESTION: HOW MUCH WATER DOES A LEAKY FAUCET WASTE? A leaky faucet is obnoxious for more than one reason. It is incessant, it represents a problem that will probably only grow worse, and it can cost you money on your water bill. Beyond all of that, it wastes a lot of water, putting undue stress on the environment. But, how much water does a leaky faucet actually waste? It may not seem like much, but when added up over a period of time, your Englewood leaky faucet’s impact can be fairly substantial. In short, the cost of a leaky faucet may not seem like much, but as time passes, it can really add up and if it is not taken care of, the cost will only grow as the leak gets bigger and potentially new leaks start in other parts of your Englewood plumbing. 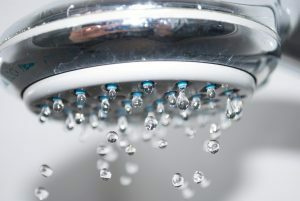 Do not let it drip forever – take action now and cut down on the environmental impact you have, as well as your bill. If you suspect that your plumbing is leaking, call reliable Englewood plumber BZ Dependable Plumbing & Heating today! Posted in Services | Comments Off on ENGLEWOOD PLUMBING REPAIR QUESTION: HOW MUCH WATER DOES A LEAKY FAUCET WASTE?